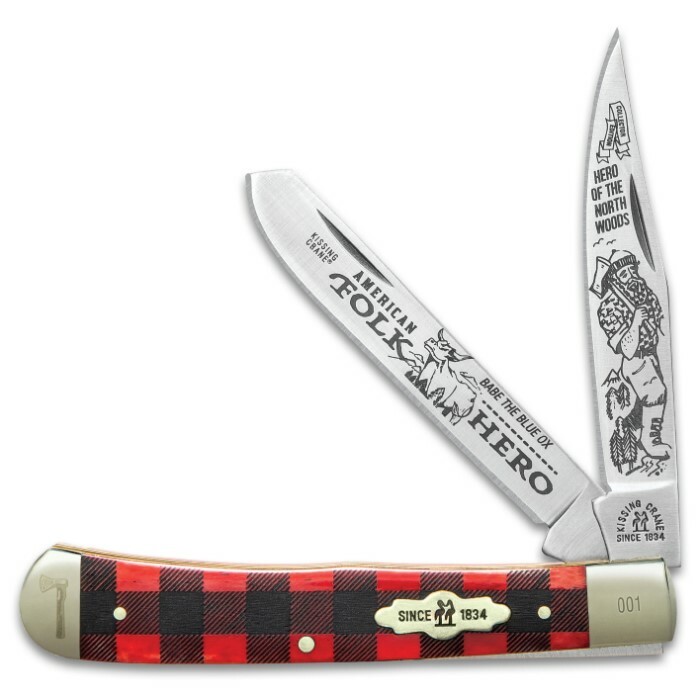 Kissing Crane Paul Bunyan Trapper Pocket Knife - Stainless Steel Blades, Genuine Bone Handle, Nickel Silver Bolsters, Brass Liner | BUDK.com - Knives & Swords At The Lowest Prices! Kissing Crane honors America’s heroes with its new American Folk Hero limited edition pocket knife series. Paul Bunyan, “hero of the north woods,” is the focus of this fun trapper knife. 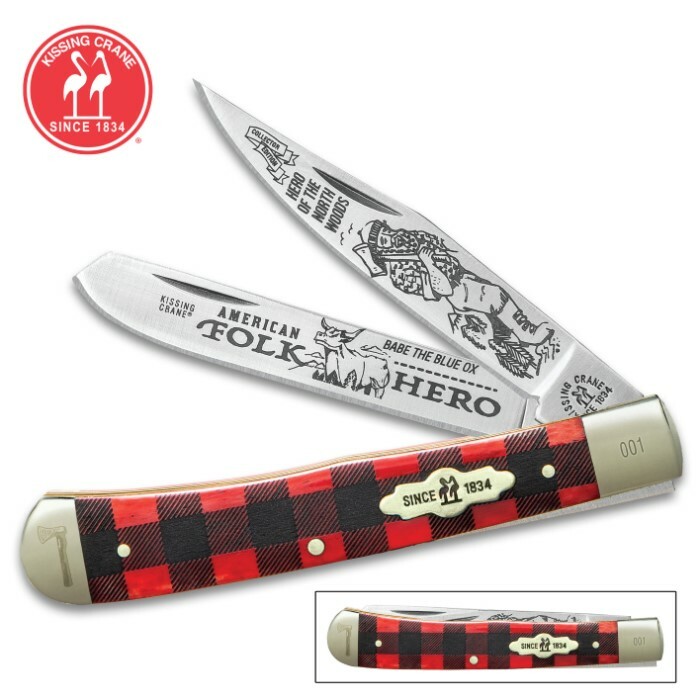 It features razor-sharp 440 stainless steel blades with etchings, complete with Paul Bunyan and Babe the Blue Ox. 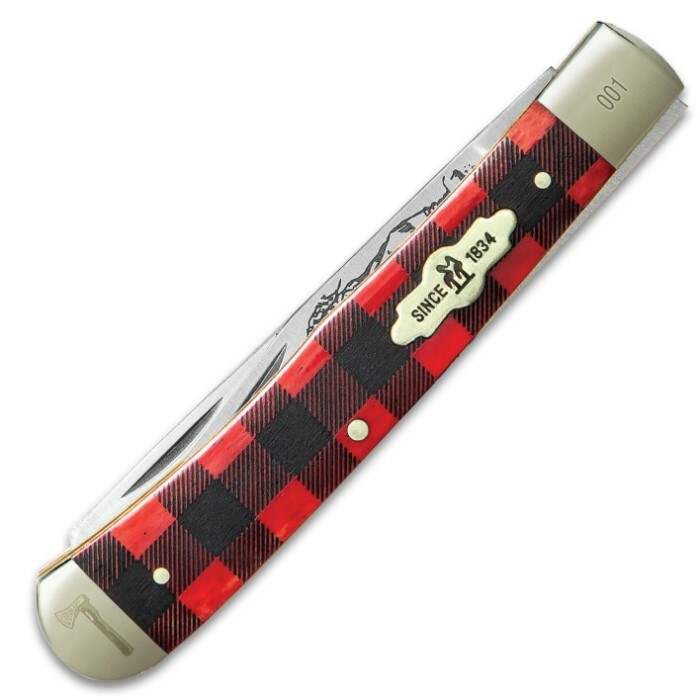 The genuine red bone handle features an etched plaid design to represent the folk hero’s iconic flannel shirt. The handle has attractive nickel silver bolsters, brass pins and the classic Kissing Crane cast shield. Each knife is laser serialized for authenticity.